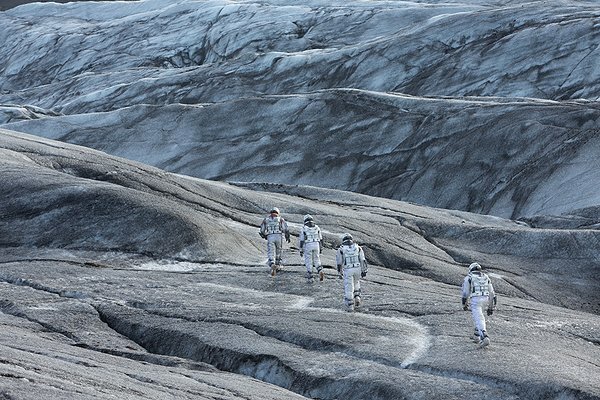 Last year, audiences were given “Gravity,” a spellbinding film where a woman is lost wan space and trying desperately to find hope to survive. In that film, space is a beautiful killer, where life is impossible. This year we have Christopher Nolan's “Interstellar,” a film that acknowledges the dangers of space but see's things a bit differently: Here, the great unknown is where humanities great hope lies. Earth is dying and there are only so many more resources we can mine. This is a fact that troubles Cooper (Matthew McConaughey), who always looked up at the sky and dreamed of the future. These days he still looks, he still dreams, however, there is now a sense of urgency that if life in space is possible, he needs to help find it. His children's future may depend on it. The children of everyone else on Earth may depend on it. This means he'll be leaving Earth and might potentially miss out on his children's future. He is going to space on the promise of his old friend Professor Brand (Michael Cane) that by the time the mission is over, he will have come up with a solution to move people from Earth to another planet. On this journey there are black holes, worm holes, and suspended animation. These are all the ingredients needed to make a science fiction epic. There is potential that some of the science in this movie is real, however I am not a scientist and it is not my job to authenticate anything here. As far as my ears can hear it sounds reasonable, but I understand this as well as I understand my doctor when he tries to explain how high blood pressure works. My job is to take in how a film feels, how it emotes, and how I emphasize with it. 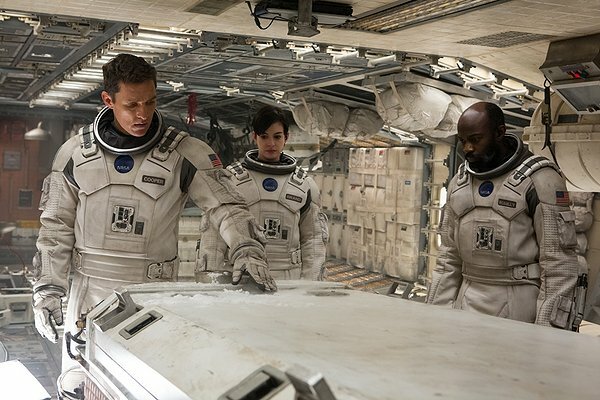 For those reasons I believe “Interstellar” is the kind of big budget epic we rarely get. 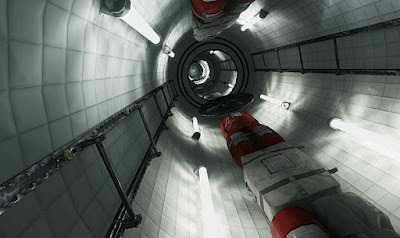 I brought up “Gravity” earlier because I wanted to stress how different an experience “Interstellar” is in comparison. While “Gravity” may have been an emotional journey, it still had many sequences of danger to take the audiences breath away. This film does not contain many of those exciting sequences. There are long moments where the characters talk about their hopes, what they have given up in their attempt to give the human race another chance at survival, and yes, they sometimes talk about all of this with scientific terms. 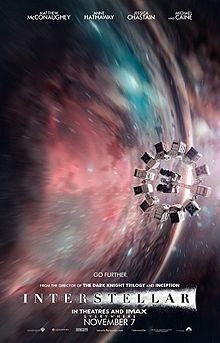 If this film can be compared to another film, its closest brother might be “2001: A Space Odyssey.” Like that film “Interstellar” is a concept film. This is not about the destination but the journey. This is a film about ideas as opposed to solutions. That they hope for a destination doesn't mean there is one in store for us. Nolan is known for his fast paced storytelling, but here he appears to be slowing down and doing a lot of contemplating. Watching this film I got a sense that he is concerned about where we are going as a species and what our future on Earth is like. I don't think he is fully convinced that space is the definite answer, but he is open to the possibilities. This is an interesting feeling to get from a man who is so old fashioned he insisted on filming this movie with 35mm film. Yes, I should probably mention that I saw the film in 70mm IMAX projection, which results in some of the best visuals I'm seen all year. There is something that just feels organic about how this movie looks, it's a look that I don't feel digital has yet to match. Nolan has been a vocal supporter of the continued use of film and he makes a strong case for that with this film. I encourage everyone who is interested in seeing this to hunt down a theater projecting it in film (though that could be difficult, as of this writing only 249 theaters will be able to project it this way, showing just how fast digital has taken over the movie industry). For all the beauty and visual wonder though, I do feel “Interstellar” doesn't fully come together at times. This is an ambitious film, of that there is no doubt. Nolan might have tried to reach too far though. I have no doubt this is going to be a divisive film to most audiences. If people couldn't accept the deliberate pacing of “The Dark Knight Rises” I suspect this may be asking for more faith than the audience will be willing to give. I know, a critic is supposed to reflect his own opinion and not try to anticipate what audience's opinions will be. 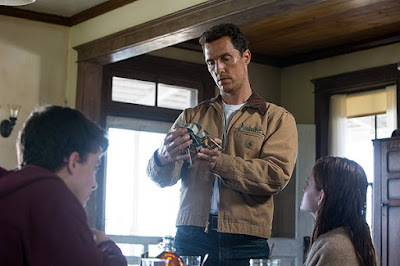 In my opinion “Interstellar” is one of the great theater experiences of the year. It's a film that takes chances and largely succeeds in that area. It is also a slow film at times, with much more uncertainty than most films of this nature provide. I feel Nolan has given movie goers a great gift, and the only reason I think about the reception is that I'm afraid they might not realize that. Parents, there is some science fiction peril, however there is no real violence per se. As is the par for PG-13 movies, the f-word is used once to insure the rating. Recommended for ages 10 and up.